Nearly 100 voters who could not make their own way to the polls had their voices heard in the recent midterm elections thanks to volunteer drivers organized by Fairfax County Democratic Committee (FCDC). 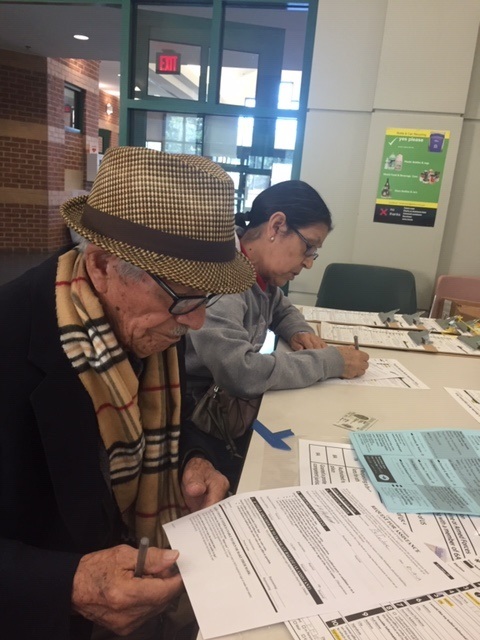 The Ride to the Polls program gave a lift to 96 voters who were elderly, handicapped, infirm, newly American or had language barriers. Quintela says there is potential to pick up many more voters with an aggressive outreach program. And if the demand rises, the supply of drivers seems up to the task – in fact, there were more volunteer drivers, 119, this time around than voters without their own means of transport.